Gunmen believed to be Fulani herdsmen have killed more than 40 people in Godogodo village, a Christian settlement in the Jama’a Local Government Area in Nigeria’s northern state of Kaduna. The area, in the south of Kaduna State, has been attacked several times before. The gunmen were said to have attacked a military checkpoint in the area before invading the village. One survivor, Peter Atangi, told World Watch Monitor his four children were all killed. “The herdsmen came around 9pm on Saturday [15 Oct.]. They invaded our homes after they attacked a military checkpoint. They were armed with sophisticated guns, machetes, knives and sticks. As soon as they came, they started shooting indiscriminately and we started running in different directions. About 30 houses, including one used as a church, were said to have been burnt down by the rampaging herdsmen, while property worth millions of Nigerian naira (thousands of US dollars) were destroyed. A community leader, Joseph Adamu, said about 50 people, mostly women and children, sustained injuries from gunshots and machete cuts and were rushed to hospitals in the nearby cities of Jos, in Plateau State, and Akwanga in Nasarawa State. The incident led to the declaration of a 24-hour curfew in Jama’a, following increased tension and apprehension among people in the area. The Chairman of the Jama’a Local Government Council, Dr. Humble Katuka, said people should remain indoors until the situation is brought under control. 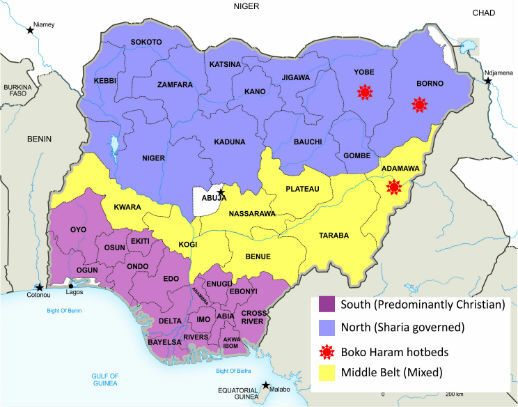 Reacting to the frequent attacks on villages in Christian-dominated areas, the Secretary of the Northern Christian Association of Nigeria – responsible for the 19 northern states and the Federal Capital Territory – blamed the state government for failing to stop the killing. “We are disheartened that despite the re-occurrence of the attack, the government has not come out with a security plan to stop it,” Rev. Danladi Yarima told World Watch Monitor in a telephone interview. “We expected that the government should have mobilised more security personnel to the area. Every day, Christians are being attacked and killed and their homes and property destroyed. The killings have continued unabated and we are very worried. We urge the government and well-meaning Nigerians to stop the killings,” he added. As a result of the ongoing violence, churches in the area have been closed, as many people have fled the communities. 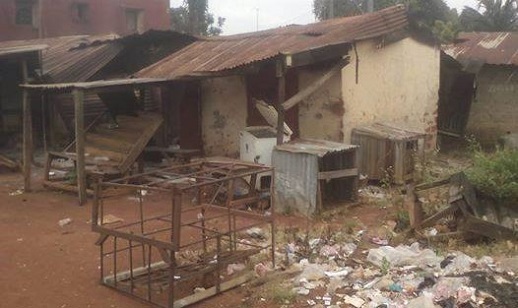 Attacks targeting the predominantly Christian communities in Jama’a area of Nigeria’s Kaduna state are recurrent. On 16 Aug., ten people were killed by Fulani herdsmen, just a month after another deadly attack which claimed, 11 lives in three villages in the same area. A total of more than 300, mainly Christians, have been killed in repeated attacks by Fulani herdsmen in the past five months, while over 5,000 people have been displaced, said Yarima. Also, the Southern Kaduna People’s Union (SOKAPU), an umbrella body for ethnic minorities, condemned the killings and called on the Federal government to establish a permanent military presence in the area to prevent them. In a statement signed by its President, Solomon Musa, the organisation said security agencies must find out the perpetrators and bring them to justice. He added that seven communities in the area have been sacked by the herdsmen and their farms taken over for cattle grazing. Violence perpetrated by Fulani herdsmen has also led thousands to flee from the largely Christian areas of Kaduna, Benue and Taraba states in Nigeria’s farming belt. Such attacks have features long familiar to Nigerians: ethnic Fulani cattle herders, largely Muslim, moving in on farmers, largely Christian. The long-running land conflict is frequently framed in economic terms, but it also has distinctive religious contours. In the state of Benue alone, a study by Premium Times claims at least 1,269 lives have been lost since 2013 in such attacks.